The feminist movement and other social advancements have contributed to women entering fields that have been traditionally male-dominated. Despite this, women continue to be consistently outnumbered by men within the field of economics. 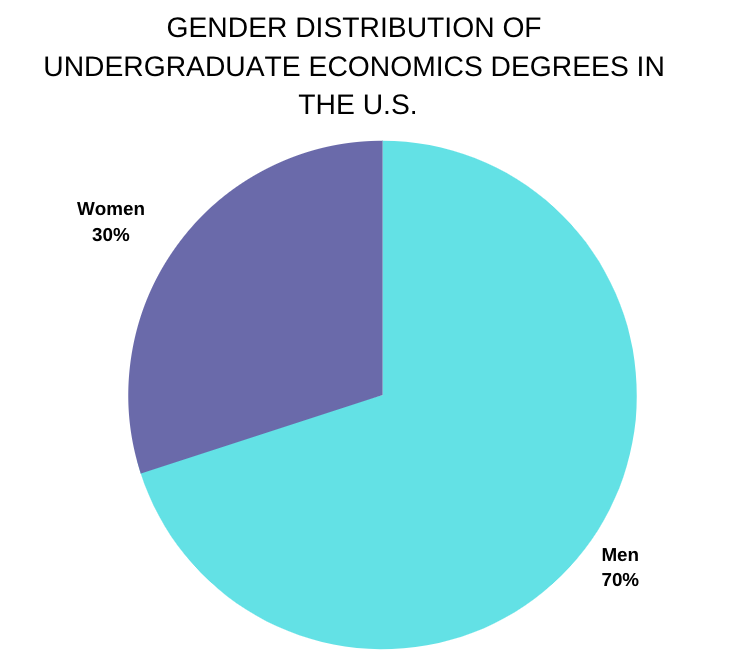 Since the 1980s, female representation within economics at the undergraduate level has hovered around 30 percent. This podcast attempts to investigate the reasons behind this gender imbalance by interviewing a variety of people in the field, including students, professors and professionals. Despite the fact that economists pride themselves on avoiding, or fixing, inefficiency, they fail to observe a potential inefficiency directly within their field. According to a 2016 study conducted by the NCES, National Center for Education Statistics, economics majors are 70 percent male. 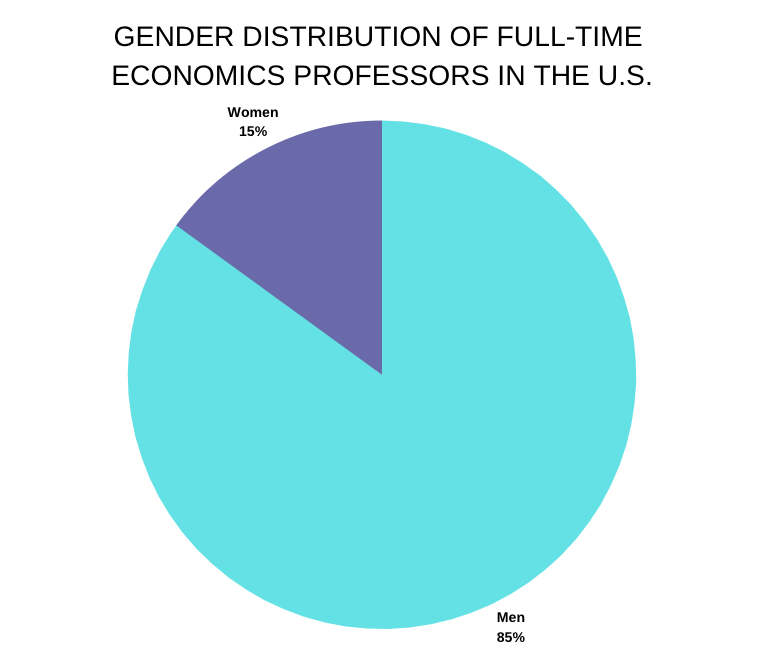 At a higher level, 85 percent of full-time economic professors are male, The Economist reported. There are multiple theories as to why women shy away from the field of economics. One of those theories is that women, on average, do not have as much of a natural aptitude towards math as men. Both Donn Johnson and Linda Fisher, Quinnipiac University professors of economics, have not experienced proof of this within their classes. “In my classes it’s not like I see a discrepancy in math skills between our female students and our male students,” Fisher said. “I don’t buy into the old stereotypes about math because the women that I have in classes are just as good, if not better, of students — and sometimes, disproportionately, (they are) the top of my class,” Donn Johnson, chair of the economics department at Quinnipiac, said. Within the past few decades, other quantitative subjects have seen increases in female representation. Accounting, a major that used to be primarily male, is now more than 50 percent female. Economics, however, has experienced a plateau in terms of the amount of females entering the field. After a minor increase in the 1990s, female representation has remained nearly the same within the field, the New York Times reported. Since then, female representation at a colligate level has consistently hovered around 30 percent. This lack of representation also fails to take into account approximately 270,000 more females than males receiving bachelor’s degrees nationally, the Digest of Education Statistics reported. With this considered, the inequality within the field of economics is even more drastic. “So a lot of people think economics is just about making money and that appeals more strongly, it seems, to men than women, but, economics is about a lot more than that and people just don’t know it,” Linda Fisher said. Fisher is not the only one that attributes the imbalance within economics to a lack of understanding of the subject. Londyn Zografakis, a senior economics major at Quinnipiac, agrees. “People, especially females, don’t understand what economics is and when I say economics is my major I always get the question, ‘what is that?’ They are not able to see that you can help people knowing these theories,” Zografakis said. This lack of understanding could be a result of the misconception that economics is a business discipline. In 2015, Quinnipiac moved economics from the School of Business to the College of Arts and Sciences. Many colleges are now making that switch because economics is nationally recognized as a social science. Fiona Scott Morton, the Theodore Nierenberg Professor of Economics at the Yale University, believes that the debate-heavy nature of the field of economics is a potential factor that contributes to the imbalance. “In economics, the way research works is you write a paper and you take it on tour, you visit different departments and you go to conferences and you present it orally and they ask you questions and you have to defend everything in your paper,” Scott Morton said. She then added that this expectation of economists does not fit into the societal boundaries that often restrict women today. “In our society, it is really hard to be an assertive female because women are supposed to be nice and so being assertive and nice at the same time is a lot harder—men can be assertive and be jerks and nobody cares,” Scott Morton said. Scott Morton also served as the Deputy Assistant Attorney General for Economics at the Antitrust Division of the U.S. Department of Justice. Gender discrimination, sexual harassment, and the wage gap are arguments that seem to arise whenever there is an obvious gender imbalance in any field. However, most women that were interviewed have not experienced blatant discrimination, but many, like Zografakis, did say that they have been treated differently based on gender. “Prior to this one male getting to know me, he just assumed that I was an airhead and I wasn’t given a fair chance to show that I was smart,” Zografakis said. As a young female economist, Scott Morton also experienced similar treatment. “I would go to seminars and ask a question and the speaker would kind of blow past my question […] and five minutes would go by and an older man would raise his hand and ask another version of the exact same question and get a long, detailed, and thoughtful answer from the speaker,” Scott Morton said. Groups for female economists have emerged within the past few decades to combat the imbalance and make women feel more comfortable as a minority in the field. One group that is recognized nationally is CSWEP, the Committee on the Status of Women in the Economics Profession, which was founded in 1972 by the American Economics Association. Judy Chevalier, who will chair the committee in January, discussed her plans for the future of the group. “I think the low representation of women in the undergraduate major is actually something I am really concerned about and something I want to work on in my term as CSWEP chair,” Judy Chevalier, who was also a former co-editor of the American Economic Review, said. Although the reason why women shy away from economics remains a mystery, economists have proposed a few ways to attract women into the field. “We can teach our intro classes, our big classes, and our micro classes with women instructors, so that it is abundantly clear to all the women sitting there that you can do this and this is a women’s profession,” Scott Morton said. “I think if more women understood that we could use economics to change the world, then we would draw more women into the field,” Fisher said. Although there is no explicit way to know whether the gender imbalance is negatively affecting the field of economics, a 2013 survey of American economists showed that women were more likely than men to support higher minimum wages, regulations, and redistribution (“Women and economics”). This survey demonstrates that women, on average, have different opinions than men. “If we had more women economists submitting essays regarding certain public policies that affect women the most, maybe women wouldn’t be such a minority in so many different areas,” Jessica Hernandez, staff assistant for US State Senator Kirsten Gillibrand, said. Many parts of the gender imbalance within economics remain ambiguous, such as the causes and effects of that imbalance. However, it is clear that the female voice, and opinions, could potentially be overpowered if the imbalance persists.